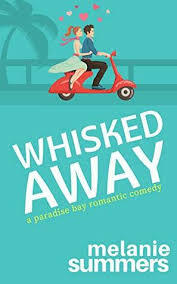 Synopsis (from Amazon): In this poignant, hilarious, and deeply intimate call to arms, Hollywood’s most powerful woman, the mega-talented creator of Grey’s Anatomy and Scandal and executive producer of How to Get Away with Murder reveals how saying YES changed her life—and how it can change yours too. One (or more) Sentence Summary: Loved, loved, loved this book. 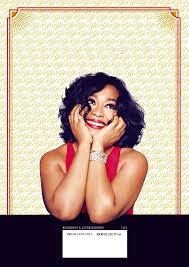 Shonda is very funny and shares a vulnerable side of her. She is so remarkable. My son was in the car a few times while I was listening to the book. I was surprised but our conversations and how much he picked up. He is 14! I recommend you read or listen to Year of Yes, you won't regret it. The audio is read by Shonda....bonus! 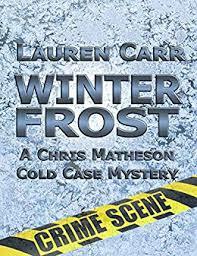 Fast read/slow read: A fast listen via Audible. Would I Read Other Books by the Author: Absolutely, with no doubt, yes. Shonda Rhimes is the prolific writer, executive producer and creator of the hit ABC series "Grey's Anatomy," and "Scandal." In addition to creating the "Grey's Anatomy" spinoff series "Private Practice," which ran on ABC for six seasons, Rhimes is the executive producer of the ABC series "How to Get Away with Murder," which premiered in 2014 as the number one new show of the Fall in adults 18-49. Entering its twelfth season, "Grey's Anatomy" continues to be hailed by audiences and critics. For her work on the series, Rhimes received the 2007 Television Producer of the Year by the Producers Guild of America, the 2007 Golden Globe for Outstanding Television Drama, the 2007 Lucy Award for Excellence in Television from Women in Film, the 2006 Writers Guild Award for Best New Series, in addition to Emmy nominations for Outstanding Drama Series and Writing for a Drama Series. For "Scandal," Rhimes was the 2013 winner of the prestigious Peabody Award. Rhimes was the recipient of the 2012 GLAAD Golden Gate Award, 2010 RAINN Hope Award and a 2009 GLSEN Respect Awards Honoree. Additionally for "Private Practice," Rhimes received the Television Academy Honors award in 2010 and 2011 as well as the Prism Award for Outstanding Writing for a Drama Series in 2011. As an executive producer on "How To Get Away With Murder," Rhimes was honored with the 2015 AFI Award for TV Program of the Year as well as the 2015 GLAAD Media Awards for Outstanding Drama Series. Across her shows, Rhimes was the 2005, 2013, 2014 winner of the AFI Award for Television Program of the Year. In addition, Rhimes has won an unprecedented 6 NAACP Image Awards for Writing for Outstanding Writing in a Dramatic Series plus 8 NAACP Image Awards for Outstanding Drama Series. Rhimes has twice been included in TIME Magazine's 100 list of the most influential people along with Fortune Magazine's "50 Most Powerful Women in Business," Variety's "Power of Women" and Glamour Magazine's "Women of the Year." In 2013, Rhimes was appointed by President Obama to serve as Trustee for the John F. Kennedy Center for the Performing Arts. In 2014, Rhimes, along with producing partner Betsy Beers, received the Directors Guild of America's prestigious Diversity Award. This marked only the fifth time the organization had bestowed this award. Rhimes was additionally a 2014 recipient of the W. E. B. Du Bois Medal from Harvard, the Sherry Lansing Leadership Award from The Hollywood Reporter and was named to both the 2014 New Establishment list for Vanity Fair and the New Guard List for the most connected women in America for Marie Claire. In 2015, Rhimes was awarded the Paddy Chayefsky Laurel Award for Television Writing Achievement from the Writers Guild of America, West, as well as inducted into the National Association of Broadcasters Broadcasting Hall of Fame. She was additionally honored with the Ally for Equality Award from the Human Rights Council and was also bestowed the Eleanor Roosevelt Global Women's Rights Award from the Feminist Majority Foundation in recognition of her work in changing the face of media. Aside from her success with network television, Rhimes wrote the feature film "Princess Diaries 2: A Royal Engagement," released in August 2004 by Disney. Additionally, her original script, "Crossroads," was released in 2002 by Paramount. She also co-wrote "Introducing Dorothy Dandridge," produced by HBO and nominated for numerous awards, and for which Halle Berry won a Golden Globe and an Emmy for Best Actress in a miniseries for her portrayal of Dandridge. In 2004, Rhimes created her production company Shondaland. 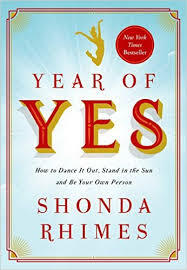 In November of 2015, Rhimes will release her first book, "Year of Yes" from Simon & Schuster. The book candidly chronicles her moving and humorous attempts to come out of her shell by saying "yes" to everything that scares her. Shonda Rhimes is the writer, executive producer and creator of ABC's "Grey's Anatomy," "Private Practice," and "Scandal." She's also the executive producer of "How to Get Away with Murder." For her work, Rhimes has received numerous honors including the prestigious Peabody Award. In 2013, she was appointed by President Obama to serve as Trustee for the John F. Kennedy Center for the Performing Arts.